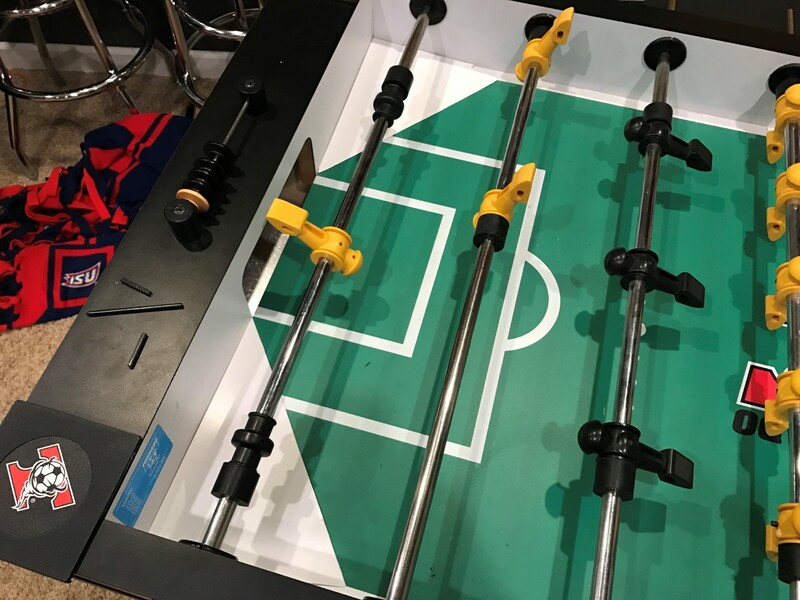 If you’ve ever played Foosball 20 to 30 years ago, you would remember that almost all Foosball tables back then on location had only 1 goalie. That was part of the fun, getting a ball to roll into the corner and then trying to stop it when it rolled at an angle towards your goal. Sadly, none of the major manufacturers make tables with only one goalie anymore, they all have three, following Tornado who I believe started the trend a while back to save money (players were cheaper than building the angle ramps). 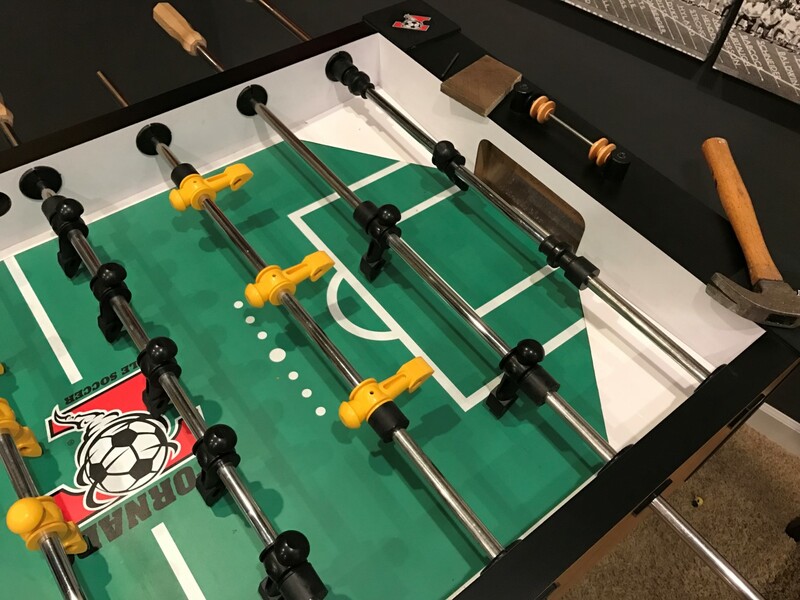 There is a solution now for those that want to go back to the good old days, at least for those of us with Shelti or Tornado Foosball tables (I can’t confirm that the kit works on all brands). I bought the kit to be install on my Tornado Cyclone II, but it should fit any model. Remove all the players from one goal rod. There should be three of them. Slide the rod out and put all items that are required (rubber stoppers, goalie, then another rubber stopper) on the rod, then slide it back into the hole. Start attaching the player and stoppers back to the rod. Make sure that the player is facing the right way. Place each one in a different corner. 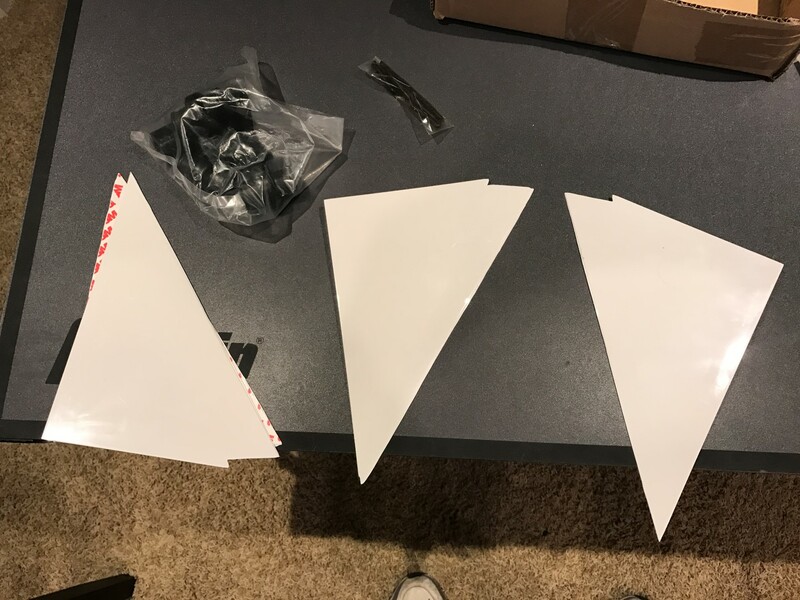 You can use the double sided tape on each one to secure it to the table. I found mine didn’t move even when not secured, so I haven’t used the tape for now. That’s it. Pretty easy overall. The next question is, how does it play? MUCH better. 🙂 At least to me. I’m sure current tournament players would hate it. For me though, it just feels right. It’s supposed to emulating soccer and soccer doesn’t have three goalies, lol. I personally don’t sell any ramps at this time. You can order them through one of the links above though.